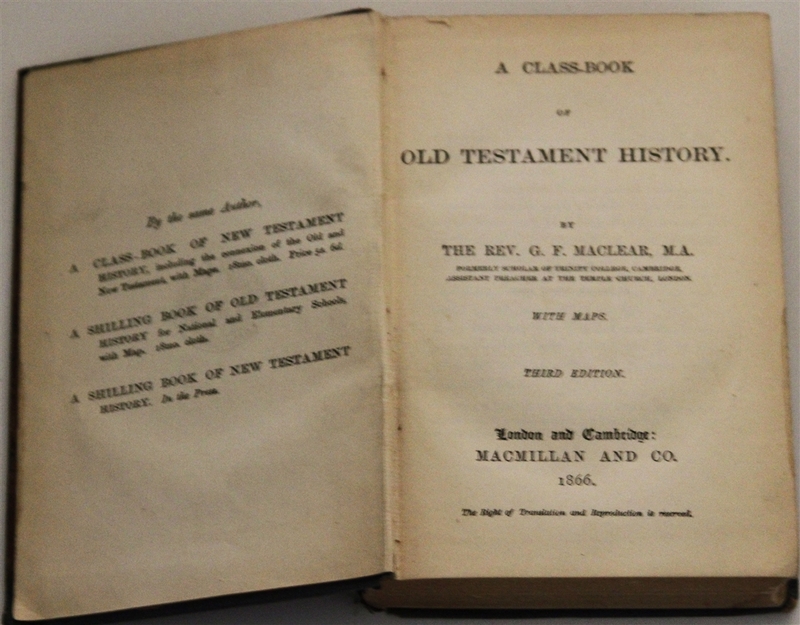 A Casebook of Old Testament History by G.F. Maclear. Macmillan and Co., 1866. xi,  508 pp. With maps. Third Edition. By G.F. Maclear. 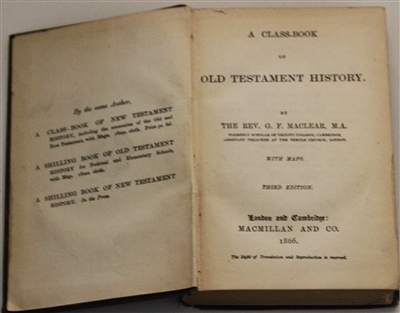 Macmillan and Co., 1866. xi,  508 pp. With maps. Third Edition. Publisher's green cloth. Top of spine pulled. Fair condition.